UNFORGOTTEN, the second book in the Unremembered Trilogy by Jessica Brody, is now in stores! After a daring escape from the scientists at Diotech who created her, Seraphina believes she is finally safe from the horrors of her past. But new threats await Sera and her boyfriend, Zen, at every turn as Zen falls prey to a mysterious illness and Sera’s extraordinary abilities make it more and more difficult to stay hidden. Meanwhile, Diotech has developed a dangerous new weapon designed to apprehend her. A weapon that even Sera will be powerless to stop. Her only hope of saving Zen’s life and defeating the company that made her is a secret buried deep within her mind. A secret that Diotech will kill to protect. And it won’t stay forgotten for long. Packed with mystery, suspense, and romance, this riveting second installment of Jessica Brody’s Unremembered trilogy delivers more heart-pounding action as loyalties are tested, love becomes a weapon, and no one’s memories are safe. Get a Special FREE Purchase Gift! Download the first 5 Chapters FREE! 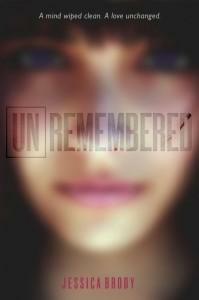 Haven’t read Unremembered, the first book in the trilogy? Click here to learn all about it and read the first 5 chapters free! 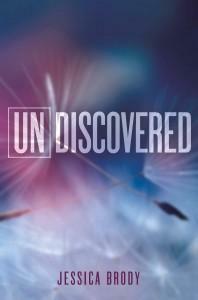 Also be sure to check out, UNDISCOVERED, the eBook novella told from Zen’s point of view! The YA Scavenger Hunt is Happening Now!